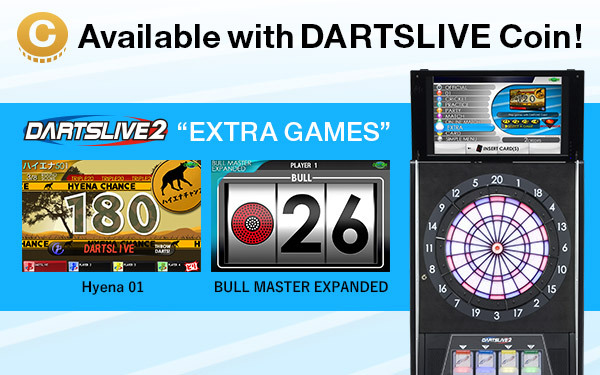 ■Play our new “EXTRA GAMES” using your DARTSLIVE Coins! 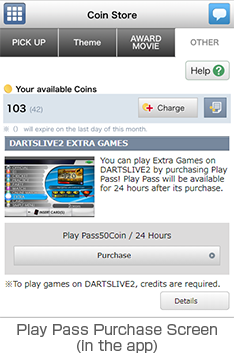 From Monday, December 3, “EXTRA GAMES” will be available with DARTSLIVE Coins! 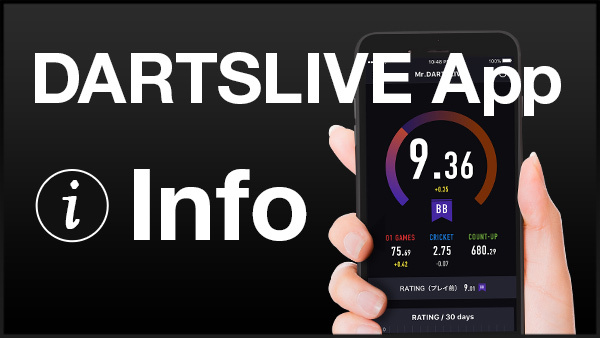 Play these new games (2 types) on DARTSLIVE2 using your DARTSLIVE Coins! (5) Insert Play fee and start the game! *Play fees are required to play these games. Who will make the score exactly 0!? Reduce the points faster than anyone else in these 01 games! ･If the number becomes 20 or less, the next round will be the “Final Round”. 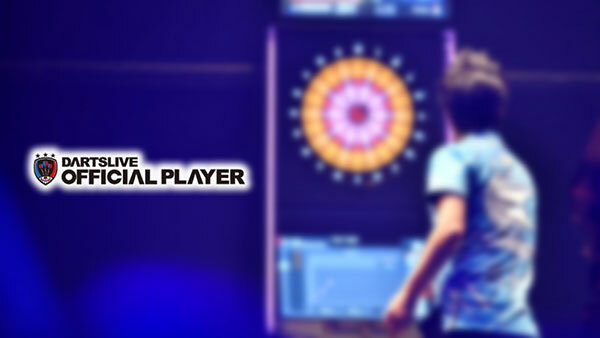 ･Be careful, if you finish your round with a good arrangement, it will give an advantage to the next player! Focus, mind your technique, and aim at the red area to keep the reels spinning! ･Hit only Bull and Inner Singles. Inner Single areas are available only one time! ･The game ends when the player hit the white area! 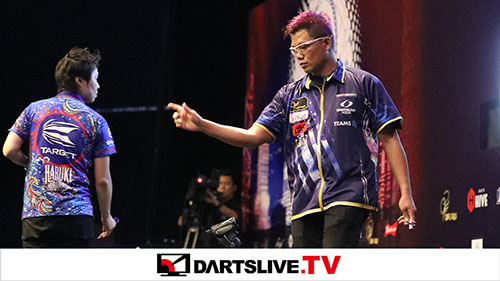 Only Play Pass can be purchased with DARTSLIVE Coin. Play Pass is valid for 24 hours after its purchase. 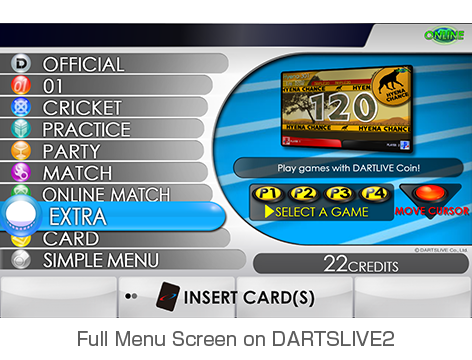 After this 24-hour period, even if you insert your DARTSLIVE card in a machine, you will not be able to play EXTRA GAMES. When multiple players start EXTRA GAMES, the games will be available if one of their cards inserted has Play Pass. The lineup of EXTRA GAMES is subject to change.